Finally recovered from hand surgery, Healy made his Cactus League debut on Saturday, notching an RBI double. PEORIA, Ariz. — By nature, baseball players tend not to be morning people. The preponderance of night games throughout the regular season can make the early wake-ups in spring training, a frustrating, bleary-eyed ordeal. But for Ryon Healy, there was no issue arising from his slumber on Saturday morning. He was awake early and ready to go — giddiness and excitement filled his body. He was going to get to play baseball in a real game today. Well, it was sort of real game — a Cactus League game vs. the Los Angeles Angels at Peoria Stadium. But given that he’s spent his spring recovering from an unexpected hand surgery while being forced to be a spectator in previous springs, well, this was pretty damn important. Healy is a bundle of high energy on most days. 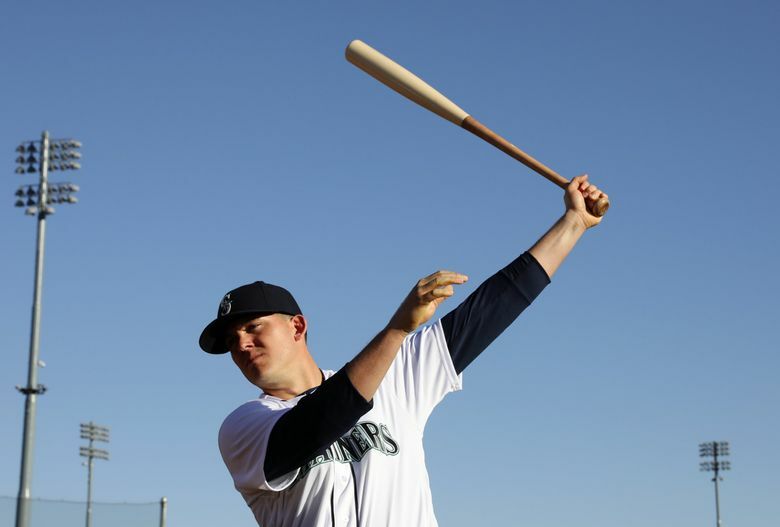 Manager Scott Servais knew that the level would be raised for Healy in his debut. Healy didn’t waste any time in his first game action of the spring. He hit hard one-hopper on the second pitch of his first at-bat, which was misplayed, allowing him to reach on the error. He notched his first hit of the spring in his second at-bat, roping a double into the left field corner to drive in a run. He struck out in his third at-bat, which ended his day. “I feel like obviously there’s a little bit of ways to go, but Day 1 to be able to go out and put some good swings on good pitches, it’s a great platform to be able to build off of,” he said. When the decision was made for Healy to have surgery to remove a bone spur from his right hand just days before the first official workout, the Mariners didn’t think expect him to be ready for opening day. But with 10 days left in spring, it seems as though he’ll be on the opening day roster. Still, one at-bat or one game won’t get back all the time missed. It’s something he’s forcing himself to remember. Can Healy be ready to perform at an expected level with limited spring training game action or does he need rehab stint to get more at-bats? Servais won’t play Healy every day to try and force the situation. Healy will trust their decision. The big thing is that there is a no lingering pain in his repaired hand. But it wasn’t just about the physical recovery for Healy. There was some psychological healing needed, understanding that his hand was really healed and he shouldn’t worry about pain or reinjuring it when he swung the bat hard. And he wants to continue moving forward away from the injury.